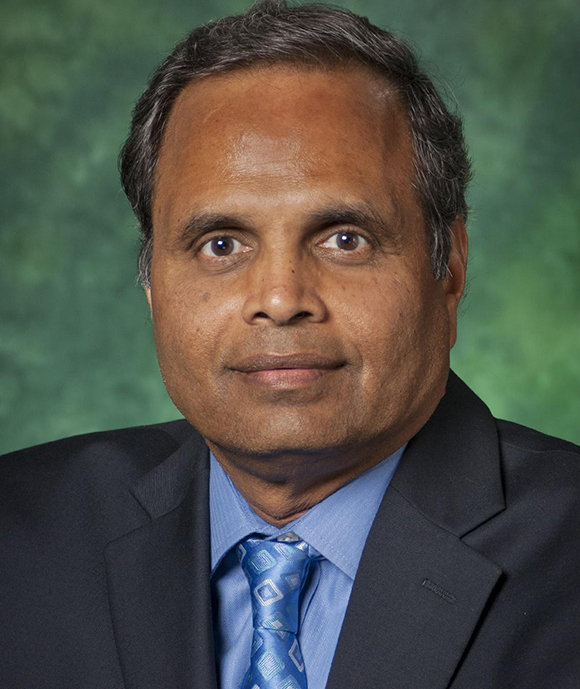 Ram Dantu, director of UNT’s Center for Information and Cyber Security and College of Engineering professor, was named one of DCEO’s Dallas 500 for his effort and dedication to technology and cybersecurity. The list recognizes the top 500 influential business leaders from 60 categories in North Texas who help to advance the Dallas-Fort Worth economy. Dantu was one of six named for his work in cybersecurity. “I am deeply humbled and honored for the selection and to be a part of the Dallas 500,” said Dantu. Dantu has spent much of his career working in the networking industry, primarily in designing and developing advanced technology products from concept to delivery. He is also a leader for innovative research using smartphone technology, Voice over Internet Protocol security and cybersecurity to help people and organizations effectively and safely store information. Dantu is the founding director of the Network Security Laboratory (NSL) at UNT, which was created to study problems and issues related to next-generation networks, and is now the director of the Center for Information and Cyber Security (CICS), which coordinates joint research projects to advance the knowledge and field of computer security. He holds 25 patents and has published more than 200 research papers. Other UNT finalists included UNT System Chancellor Lesa Roe, UNT President Neal Smatresk, UNT Dallas President Bob Mong and Marilyn Wiley, dean of the UNT College of Business.